Just a splash page today. It was probably better in the print version. 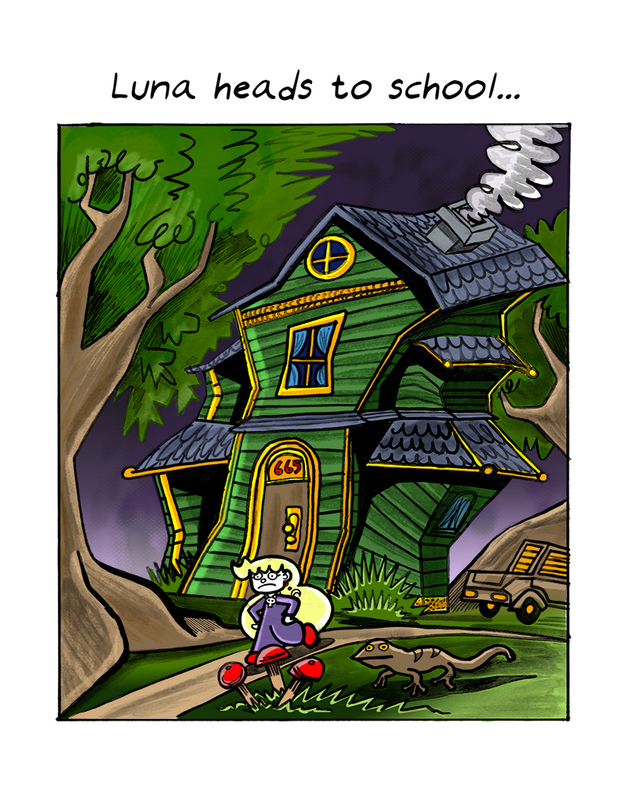 This is the end of the part with Luna in her house. Be back on March 9.